VBC Group has been supporting Liam Hardwick, a PhD student at Sheffield University who is carrying out research into Novel Nickel Based Brazing Alloys. Liam is using predictive modeling software in conjunction with hands on-alloy fabrication to investigate a range of braze alloys based on High Entropy Alloys (HEA’s) a new class of multi-principal component materials. The HEA like alloys incorporate alternative melting point depressants with the aim of reducing or eliminating the brittle phases routinely observed in nickel-based alloys containing boron and silicon. The fabricated alloys are being analysed micro-structurally as well as mechanically and the results will dictate the adjustments to be made to the composition for subsequent alloy runs. This iterative approach will hopefully lead to one or more exciting new alloys. The potential applications for these new alloys will depend on the properties of eventual alloys but could include components within high temperature aerospace or land-based turbines or indeed cutting tools. Liam has presented his findings at the International Brazing and Soldering Conference in New Orleans in 2018 and in May 2019 will be reporting his most recent results at the Lot Brazing Conference in Aachen, Germany. VBC Group is proud to be associated with Sheffield University and Manchester University where Dr Russell Goodall and Dr Ed Pickering respectively are supervising this challenging work. Every now and then at VBC Group we get an enquiry that stands out a little. 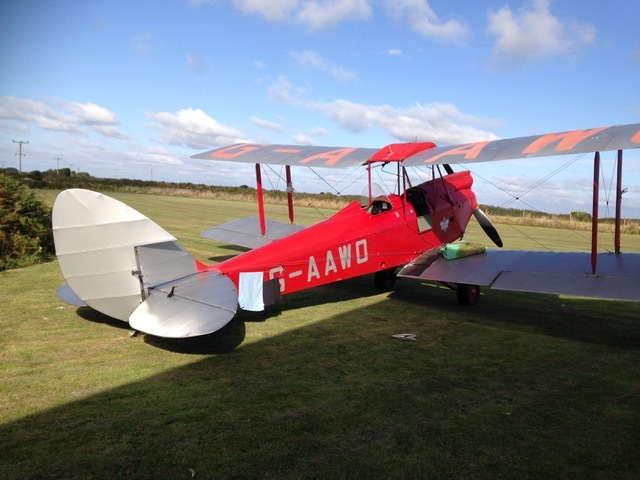 This was the case recently when Nigel Reid contacted us looking for some aluminium welding wire – nothing all that special so far – but when Nigel mentioned that it was to repair a crack in a crankcase of his Gipsy Moth aircraft that really piqued my interest. I had to ask Nigel to tell us a bit more about this aircraft. 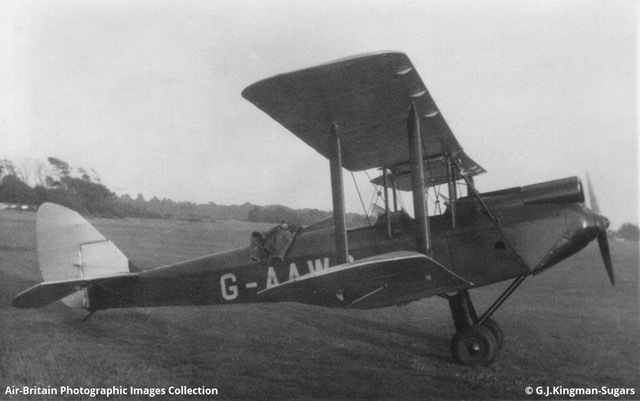 This particular Gipsy Moth was built in 1930 at Stag Lane, Edgeware. It spent the working years of its life with a Cape E E Fresson working out of Inverness with his airline, Highland Airways. In fact, it was the first aircraft to land at many of the far North Scottish Airfields as Fresson used it to survey his routes and prospective fields for landing sites prior to bringing in his twin engined De Havilland Dragon aircraft. He wrote the story up in a book called Air Road to The Isles, which gives most of our Gipsys early history. After the war when all the airlines were nationalised, he was forced to sell the aircraft and it came south to Christchurch where my father bought it in about 1955. In 1970 Nigel’s father found the front face of the crank case leaking oil from a very tight crack. The machine had been crashed back in the 30s which may well have been when the crack started as the log book shows they replaced the no1 cylinder. Nigel’s father worked for Flight Refuelling and they cut the crack out and used NG21 4043 rod for the repair. That repair has lasted some 40 years and 950 flying hours but now, has reappeared. This is where VBC Group has been able to help. The crankcase was built from a now obsolete aluminium casting material L5. The most suitable filler wire to repair this is an old Rolls Royce specification alloy MSRR 9500/30 – which is now also obsolete. 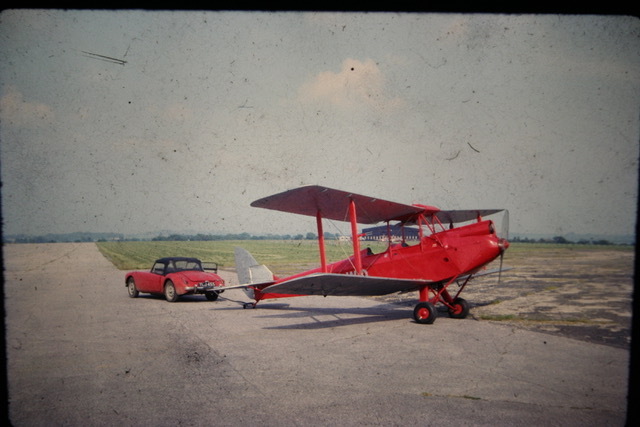 Fortunately for Nigel’s Gipsy Moth the founder of VBC Group, the late Dr Peter Fell, and Dr David Harvey bought the last remaining 9500/30 from Rolls Royce many years ago and it has been waiting on our shelves for just such a repair. The old repair will need to be completely removed and Russell Creasey of Creasy Castings, who has much experience in repairing vintage aircraft will carry out the repair. Thank you Nigel for sharing this story of aviation history with us.